Most children take to preschool like a duck to water. The children that have difficulty adjusting usually have parents that are having trouble making the change. Guess who had a stomach ache every day for two weeks? Every day upon his 8 o’clock arrival to school, Lucas threw a tantrum. After a few days, I learned that this three-year-old had always slept to 8:30 each morning. In the mornings, Aidan resisted getting in the car to come to school. After a phone discussion with his father, we discovered that his grandmother, who had lived with Tomas all his life, had moved away two weeks previously. 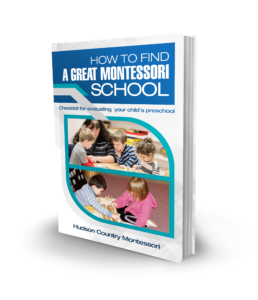 How to avoid these and other situations when starting kindergarten? Are we emotionally ready to let go? Do we have a plan of what to do with our time when our child is in school? Is our child emotionally ready for a new situation? Have there been any significant changes in our lives in the past two months, such as relocation or a new job that could affect the emotional center of our child? Is our family physically ready for school? Is our child on a sleeping and eating schedule that works with the school schedule? Also, be careful to not return from a week or two vacation a couple of days before starting preschool. Is our child recovering from an illness or on medication that could make him or her drowsy, cranky or hyperactive? Some allergy medications and antibiotics affect alertness and energy levels. All members of your extended family should be positive and excited about your child’s first step into a larger world. A few days before school starts, arrange to take your child for a fifteen-minute visit to his or her school in order to meet teachers and become familiar with the facilities. On the first day, exude the message, “I know you’ll have fun,” by saying a quick goodbye and leaving with a smile, even if you feel like crying through every pore in your body. In my twenty-five years of experience, children cry when separating for less than two minutes. For a mom and dad, it’s a long two minutes, but two minutes just the same. If children cry for over five minutes, it is usually because they are running a fever, didn’t get enough sleep the night before, are hungry, or all of the above, which helps make a clear cut decision about whether to give a child more time to calm down or to send a child home. After you leave your child, have a plan for that morning. Join friends for coffee, grocery shop, go to work, etc. My project was to take a shower by myself for the first time in four years. Enjoy being the parents of a preschooler. It’s exhilarating, exhausting and exceptional. Your preschoolers will be texting from college before you know it. 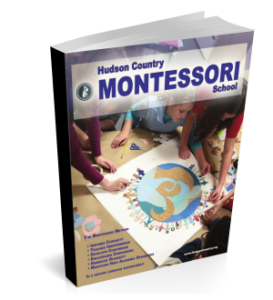 Written by Maren Schmidt, Kids Talk blogger and author of Understanding Montessori: A Guide For Parents.